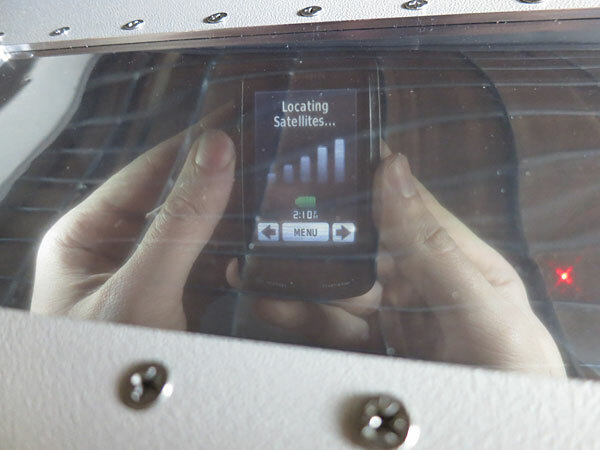 Add an RF Shielded viewing window to any suitably sized RF Test enclosure. The newly designed, JRE patented viewing window utilizes a unique lamination of conductive PET plastic layers with novel grounding to provide RF shielding of over 70 db while still allowing a light transmission of greater than 70%. Included is a lighting system with dual brilliant LED illumination 'boards' as well as a rechargeable Li-Ion battery pack and charger. The LED illumination boards may be mounted anywhere inside the enclosure and since it is battery powered, does not require any connection through your I/O Interface plate for power. Required mounting area is 12 x 6 inches and can be installed on any wall of the enclosure, although the cover is preferred. 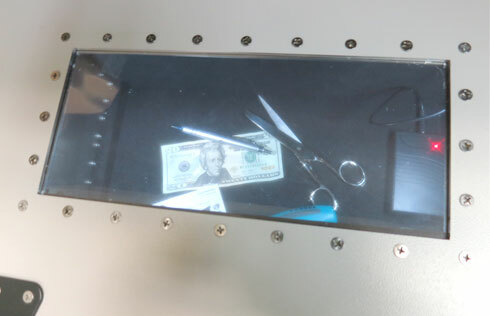 Of course, a cut-out in the enclosure wall is required for the window area, as well as mounting screw holes. For this reason, it is best to add the window option at the time of purchase, so that the necessary enclosure modifications can be done at the factory.